Kumamoto was not a very famous city before April 2016, when it became sadly famous for the strong earthquake that caused many victims, damage and the disastrous ruin of Kumamoto Castle, one of the most beautiful and largest in Japan. This terrible misfortune, however, was in a sense a positive note for Kumamoto, who became known to the whole world thanks to his cute mascot Kumamon, the tender black bear with red cheeks. Kuma in Japanese means Bear, but the funny thing is that Kyushu, the island where Kumamoto is located, is the only island of “continental” Japan where no bears live! Kumamoto is a very nice city to visit, rich in historical places (belongs to Miyamoto Musashi, the famous ronin, or the revolt of Saigo Takamori) and natural spot (like the numerous spa resorts) and the caldera of Mount Aso. Last winter, I had the opportunity to visit Kumamoto twice, first on the promotional video shot with Heartland Japan and then during my #KyushuDiscovery. Kumamoto is a convenient city, cheaper than other Japanese cities, with great food and a very widespread and efficient network of buses and trams. Ah yes, the trams. It is not so common to find them still here in Japan, in Tokyo there is only one for example! 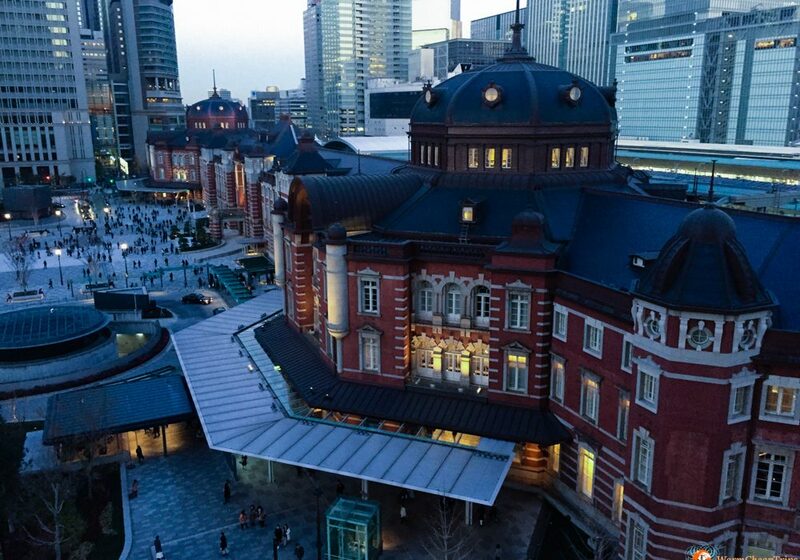 Kyushu is a very different area from Honsu (the main island on which are located Tokyo, Kyoto and major tourist cities). It is much more rural, less hectic and public transport doesn’t reach all the places, especially after the earthquake that has also caused the collapse of several roads and bridges, whose restoration works are still ongoing because there is no urgency (and wealth) like in the main island. I think that tourism is the best way to help the reconstruction, in particular of the Castle of Kumamoto that will take about twenty years to be completed, so I invite you to visit Kumamoto, maybe during the Rugby World Cup 2019, which will dispute here some matches of the competition. Kumamoto is an excellent starting point to visit the surroundings, however I suggest to spend a couple of days in the city itself. 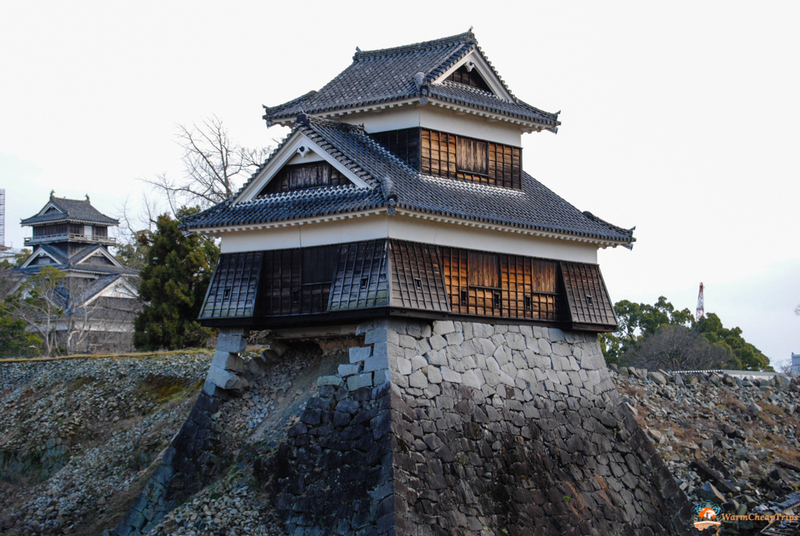 After the heartquake, the major attraction, the Castle of Kumamoto, is not open to the public but in the city you can find many other points of interest. The best way to get around is use the buses: go up from the upper door, pick up the ticket with the stop number and when you get off you pay the corresponding amount visible on the screen next to the driver. Kumamoto Castle was considered one of the largest and most beautiful castles in Japan. 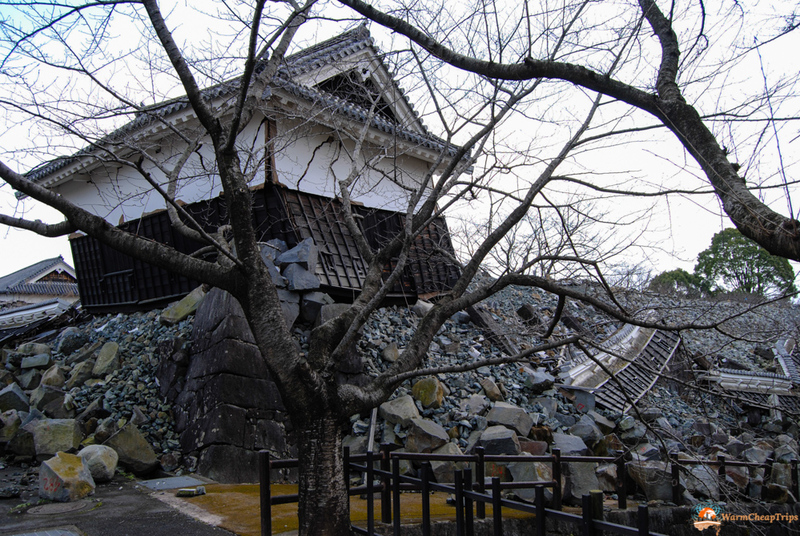 Built in 1607 by Kato Kyomasa, it was considered impregnable, thanks to its careful construction and its particular walls. In this huge castle, Miyamoto Musashi, the famous ronin who spent his old age in these areas, also found hospitality. The castle was heavily damaged by the earthquake of 2016 (it was not in any case the original structure) and the whole area inside the walls isn’t accessible. It is says that the reconstruction will take about twenty years. However, it is possible to follow the walk that surrounds the walls, from where some of the internal towers are visible, but above all we can see a part of the destruction that the earthquake caused. The explanatory panels also show photographs of the “before” and see with their own eyes this disaster really makes the heart clench. To get an overall view of the castle area, I recommend going up to the top floor of the Municipal Office, from whose observatory you can see the inner park of the castle and the work in progress. There is also an explanatory display on the castle’s reconstruction process. Near the Castle of Kumamoto, in addition to some temples, there is also Sakura no Baba Josaien, a commercial area that recalls the atmosphere of a small town of the Edo period. It is worth visiting the WakuWaku Za Museum which, besides explaining with funny games and interactivity history of the Castle and the life of Japan in the Edo period, shows a video with images of the Castle before the earthquake and immediately after the disaster, showing the interiors and the damages suffered. This beautiful garden is listed among the most beautiful gardens in Japan and represents the 53 stations of the Tokaido, the famous road that during the Edo period connected the Capital Edo (Tokyo) and Kyoto, that all the feudal lords had to travel at least twice in a year. It was built in 1636 by the third of the Hosokawa as a tea house and its garden. In 1878 the Shinto temple and the stage for the Noh theater were added, where still today in autumn and spring it is possible to attend performances. 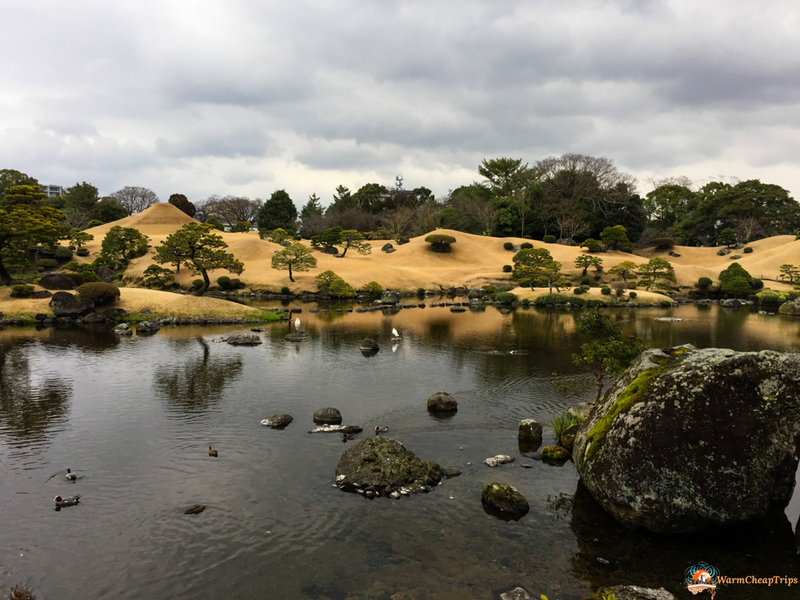 The choice of this place for the construction of the garden was due to the natural sources of pure and clear water that comes directly from Mount Aso and is said to have miraculous effects such as longevity. The park is not huge, in an hour you can visit it slowly, pausing to contemplate the “Mount Fuji”, crossing the many bridges and taking lots of photos to this quiet and relaxing garden in the heart of Kumamoto. Hours: 07.30 – 18.00 every day. Miyamoto Musashi was a Samurai who lived between the XVI and XVII centuries, already very popular in life, rose to the level of legend in the following centuries. To be more precise than a Samurai it would be better to call him a Ronin, the so-called wave warriors, the warriors without a Lord, who traveled the country in search of engagements as mercenaries, fame, or to complete their training course, training, duels and Zen. 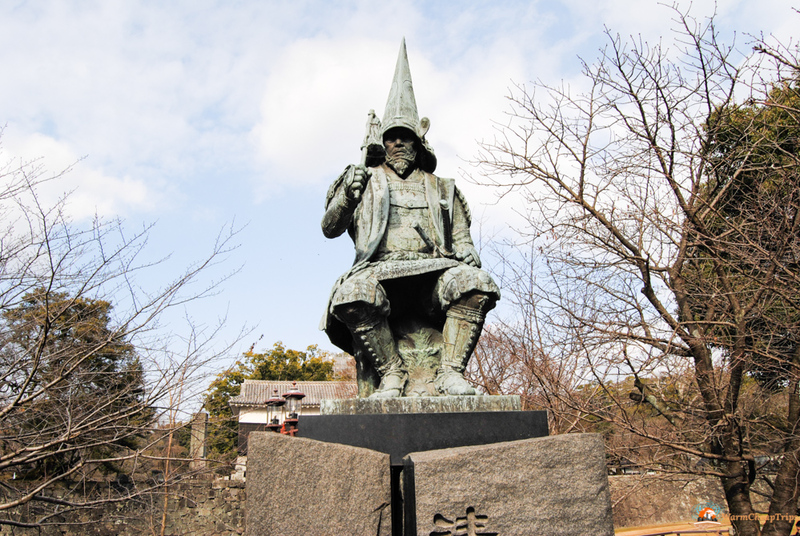 A sword-man, but also a man of great culture: sculptor, painter, poet, designer of Japanese gardens and great expert in fortifications, which thanks to its unbeaten reached an advanced age (61 years) very rare thing among the Samurai. He arrived in Kumamoto in the last years of his life, guest of Tadatoshi Hosokawa inside the castle. Here in Kumamoto, precisely at Reigando Cave immersed in the mountains around the city, that Musashi wrote his most famous work “The Book of Five Rings” a study of military and psychological strategy of great relevance even today for his applicability in daily life and work; in Japan it’s still studied in many university courses, and not only historically, but also and above all managerial, psychological and coaching, as well as obviously being a kind of sacred book for all martial arts practitioners, and in particular those of Japanese sword (the school he created, Niten Ichi-Ryu still exists today). 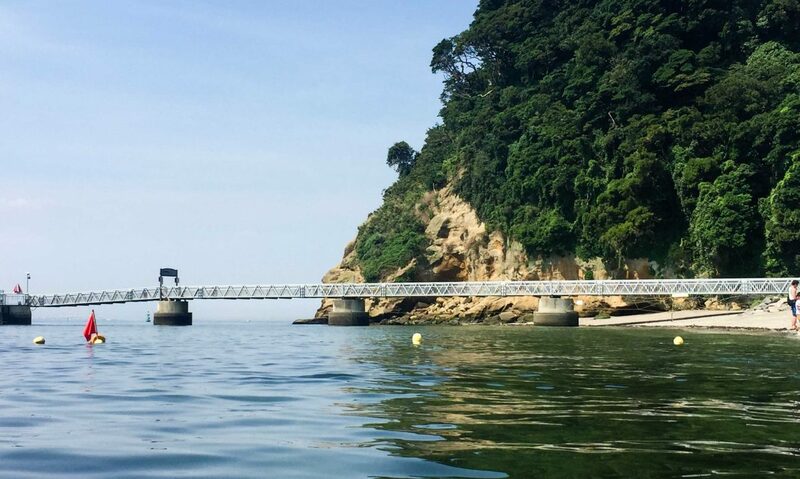 From the center of Kumamoto, take the number 6 bus, and you’ll arrive at a small group of houses at the foot of the Iwatonosato Park and Mount Kinpu. From there, a small road climbs uphill through the rice fields, up to the small silent village developed near the Unganzenji temple. After paying the symbolic entrance fee of 100 yen, you can see a small exhibition of some objects related to Musashi and some old translated editions of the Book of Five Rings. The path then continues in the little wood flanked by the five hundred stone Buddha statues, up to the Reigando Cave, a place that has always been considered sacred due to the strange and mysterious shapes of its rocks, which have always made it a place for ascetic training. 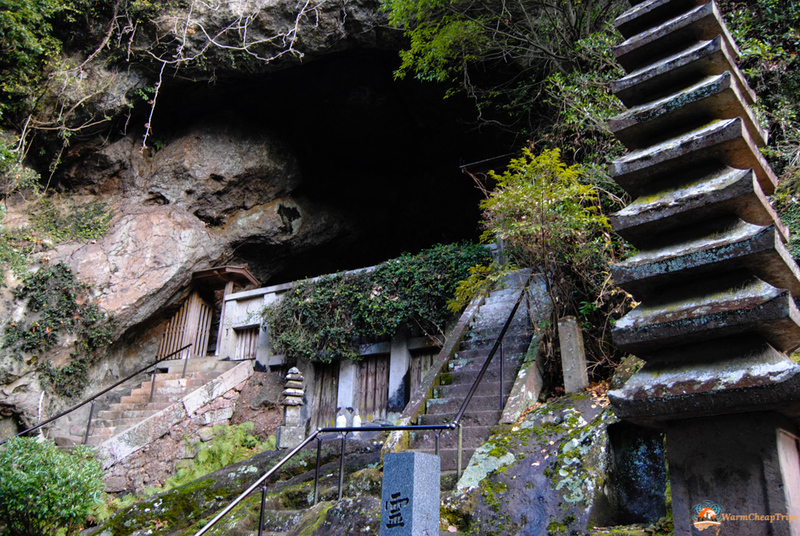 Here in this cave, Musashi lived his last months of life, meditating in solitude and writing what had to be simple instructions for his students. 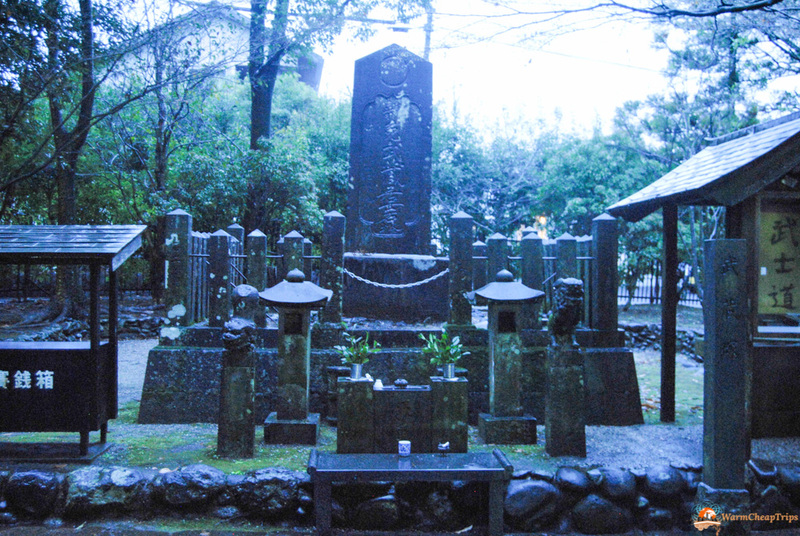 About fifteen minutes by train from the Suizenji Garden, leaving the tourist center of Kumamoto, there is the Musashizuka Park, where the statue of Musashi and his tomb are located. The Musashizuka Park is a quiet park, almost a neighborhood garden, with pretty paths, many benches and practically no tourists. It is a discreet and silent place, where to pay homage to the great intellectual swordsman without haste and without distractions, accompanied only by his own thoughts and by the sound of the stream running through the park. Even if you want to hike around, Kumamoto City is a great base for overnight stays, being served by both Shinkansen and Kumamoto Airport. If you are traveling by car there are also many car parks at accessible prices. 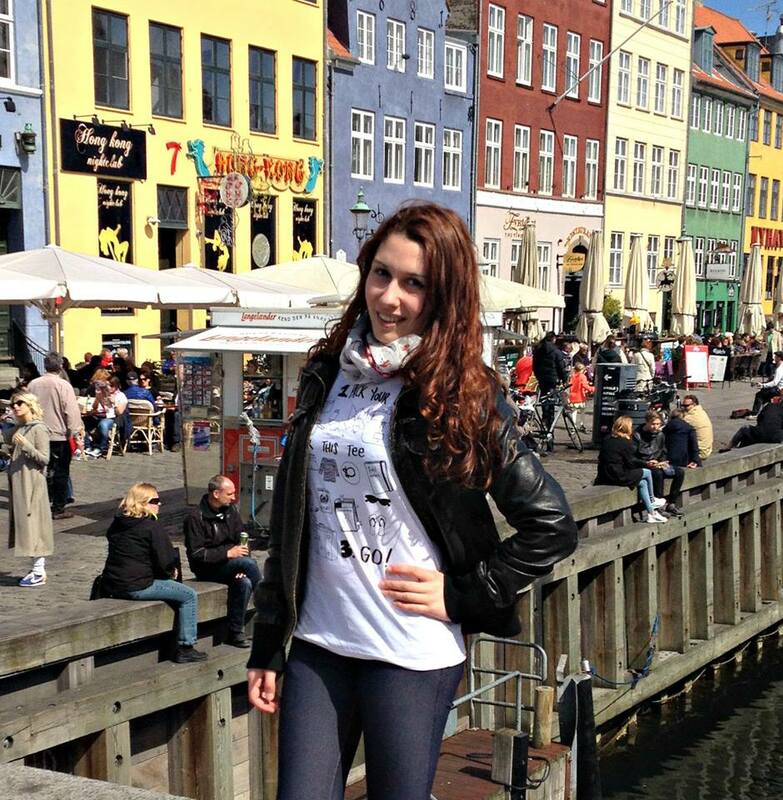 We, moving by public transport, we looked for an ideal solution that was close to the train station, bus stops and Kumamoto Castle and the central street where to dine in the evening. We found the Hotel Hokke Club a perfect solution, with even the airport shuttle that stops just 50 meters from the hotel. It is a chain of Business Hotels, with large rooms, many services, and even a public bath where you can relax after a day of walking. The economy room, with single beds (the double bed is ALWAYS queen size, so really small for two western people) was really very spacious, with fridge available, slippers and yukata. The bathrooms are outside, but very clean and always free, laundry and vending machine on the same floor as the public bathroom (the public bathroom is like an onsen, but with normal heated water). 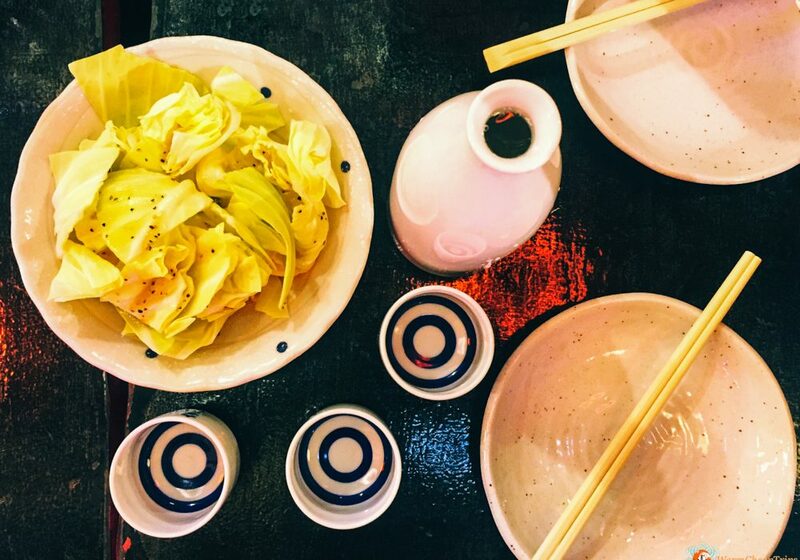 With a supplement of 800yen per person per day you can have a splendid and super abundant breakfast buffet, with various local specialties such as soups, grilled fish, fruit, etc. ..
Price per night for economy twin room approx. 35.000yen. Thanks to Roberto to helped me in co-writing this article, regarding the historical information about Miyamoto Musashi.